Roll On Conveyors are specially designed field truss conveyors which stack one on top of the other for transport, saving you on shipping costs. 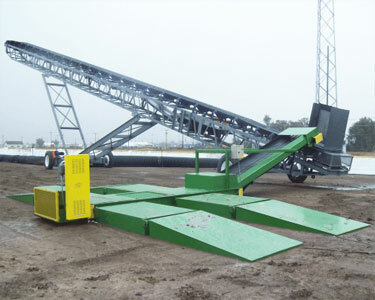 This portable transfer conveyor is designed for swift, reliable and safe setup for operation and transportation. Engineered truss supports head end rollers allow for an effortless glide to and from stacked mode. Only one operator is necessary for the setup and breakdown.